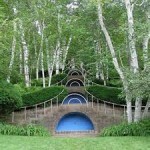 Certain places have a way of staying with us, imprinting their unique shapes and spirits on our memories forever. 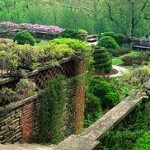 The gardens at Dumbarton Oaks in Georgetown, Washington, D.C. are one of those places for me. 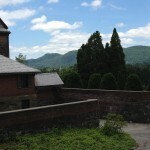 The grounds at Naumkeag in Stockbridge, Massachusetts are another. 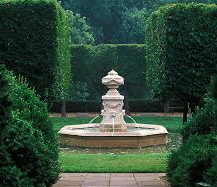 These two edenic settings have given me hours of pleasure during my visits and, after studying how they were conceived, many valuable lessons in landscape design. So when I needed to create “the most beautiful garden in the Berkshires” for my new novel Bleeding Heart I found myself drawing heavily on both of them for inspiration. 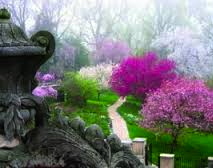 Dumbarton Oaks stands on the highest point in Georgetown with grounds that, like Naumkeag, slope down a hillside, presenting a challenge that many of my fellow gardeners in the Berkshires know all too well. 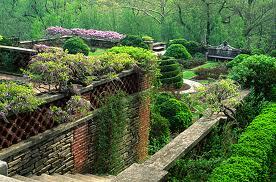 The original designs for Dumbarton Oaks were created by the Beatrix Farrand, the niece of Edith Wharton. 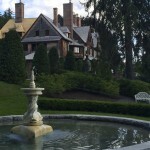 Farrand was, literally, a ground-breaking figure (before her women were not allowed to accept public commissions), who also landscaped the gardens at The Mount in Lenox, the White House, and many other historic sites across the country. 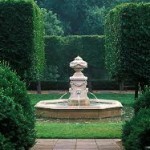 Farrand worked closely with Dumbarton Oaks’ owner Mildred Bliss from 1922 to 1940, designing the property’s numerous delightful “garden rooms” and planning each detail of every terrace, bench, urn, and border. 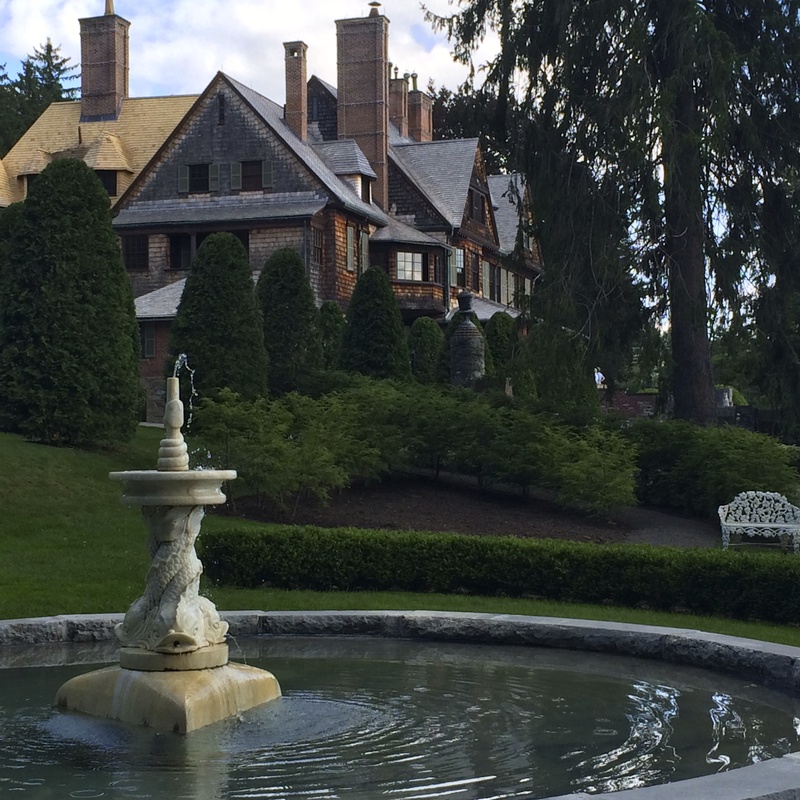 The gardens at Naumkeag are also the result of a close and inspiring long-term relationship: the 30-year collaboration (1926 – 1956) between the owner Mabel Choate and the landscape architect Fletcher Steele. 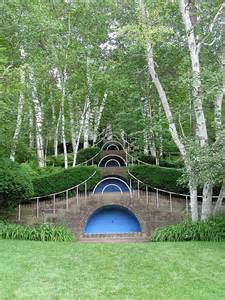 Flowing down a series of steep inclines above Stockbridge, Naumkeag’s gardens are thought to represent the first truly modern landscape design in this country. 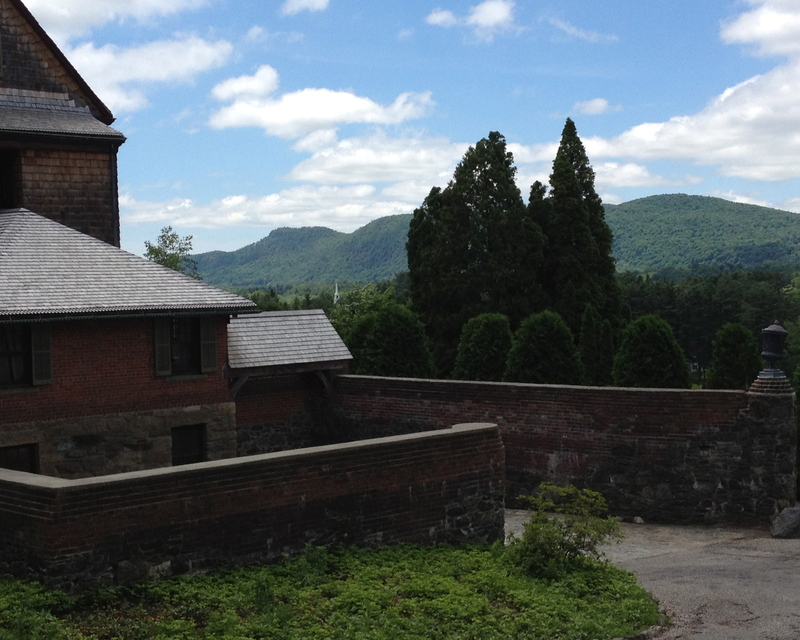 Alice Hyatt, my fictional garden designer in Bleeding Heart who was commissioned to build the most beautiful garden in the Berkshires, also had to contend with the hilly terrain typical of Western Massachusetts. For inspiration and guidance, she turned time and again to Beatrix Farrand, Fletcher Steele, and their brilliant and lasting creations. Fabulous, congratulations on your new book being published. 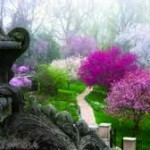 Thank you, Beata. I think you’ll really enjoy this one. 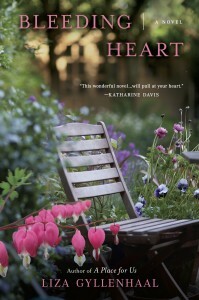 your new book sounds good..wish I could be at the reading..do you ever “do” book clubs? Thank you, Annette. Yes, actually, I do a lot of book clubs — either in person are by joining on the phone or via Skype. I love to “do” them, so please keep me in mind!